The aromas of this 2009 Pinot Noir are subtle red fruit, cedar, spice and black cherry. The supple tannins and elegant body contribute to a velvety mouth-feel with persistent smoky spice that fans out on the finish. Tobacco and complex earthy tones add a second layer on the palate. Concentrated, refined, intensity for long, fruitful aging. 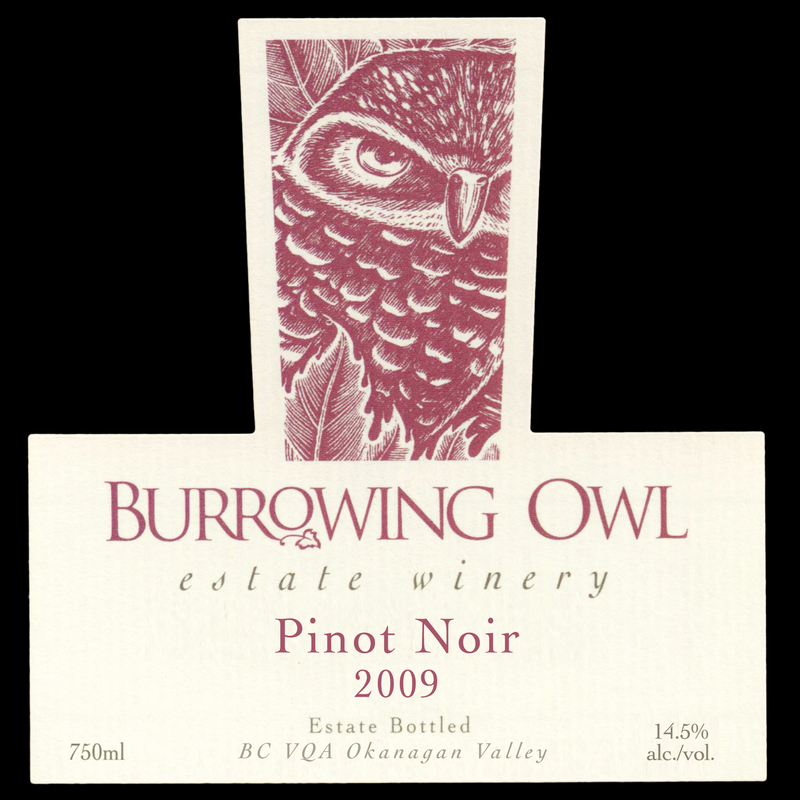 The grapes for this wine were harvested in October 2009 from the Burrowing Owl Vineyard on Black Sage Road in Oliver. The fruit was hand-picked, destemmed, and crushed into stainless steel tanks. It was inoculated with our preferred yeast strains and fermented at 28ºC. After pressing, the wine was transferred into barrels for the completion of malolactic fermentation (MLF). The wine was racked once after MLF and then was not moved again until bottling. 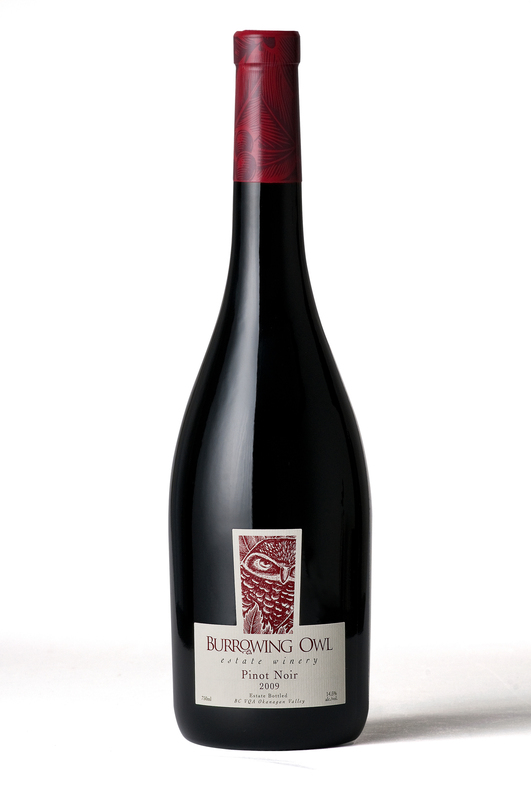 The Pinot Noir barrel program consists of 33% new French and American oak for 10 months. The wine is unfiltered and un-fined for maximum flavour.